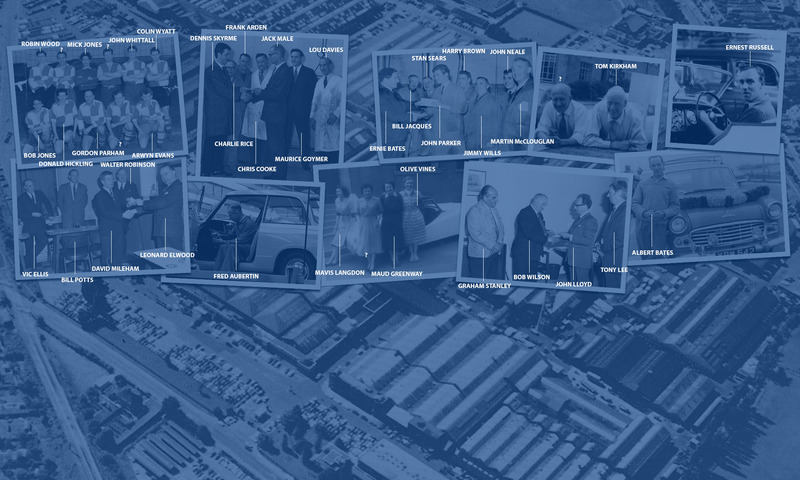 The huge Banner Lane plant of The Standard Motor Co. Ltd., which is building the Ferguson Tractor, recently produced the 10,000th complete machine. Production of this tractor is mounting daily to fill the urgent demand at home and abroad for agricultural machinery. 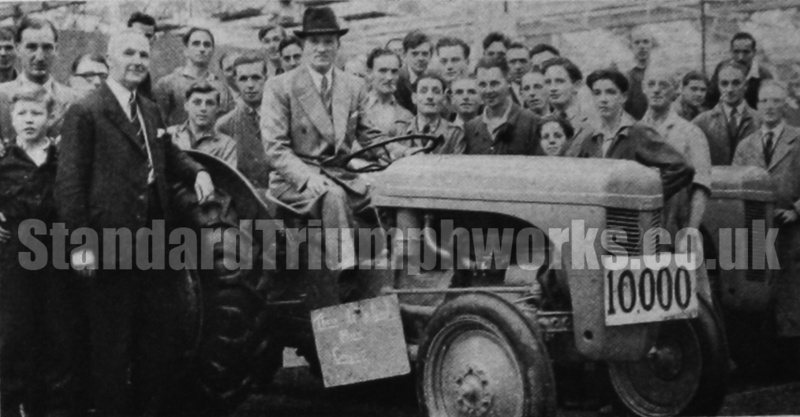 Sir John Black, Managing Director of The Standard Motor Co. Ltd., is seen driving the 10,000th machine off the final assembly line surrounded by some of the men who have helped to achieve this remarkable output. On Sir John’s right is Mr. E. G. Grinham, Technical Director of the Company.